Click "Set Unattended Access" from "+" button dropdown. Type email(s) of the recipient(s) then select in which group the new computer(s) should be added and click the "Send" button. 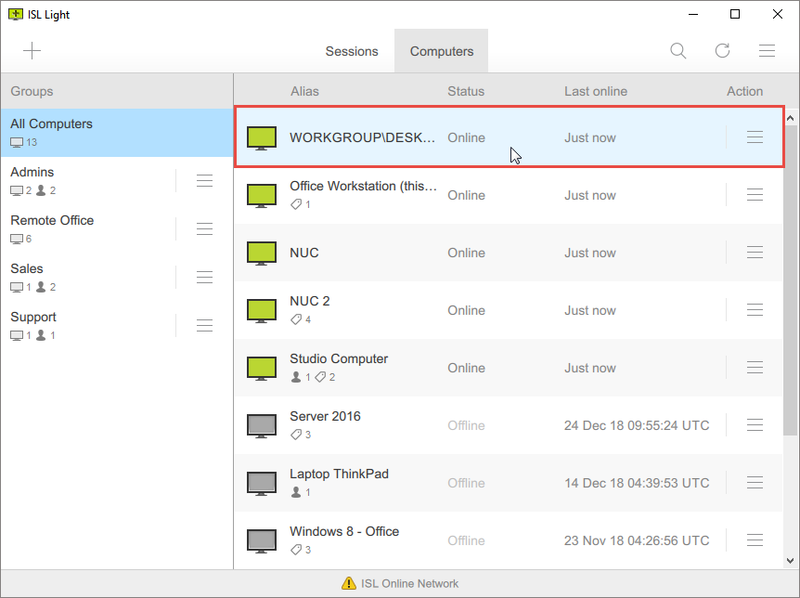 Note: Adding a computer to the group is the same as if you first add the computer to the All Computers group then dragging it to the appropriate group later. In both cases the remote computer will be shared with all the users that can see the group. 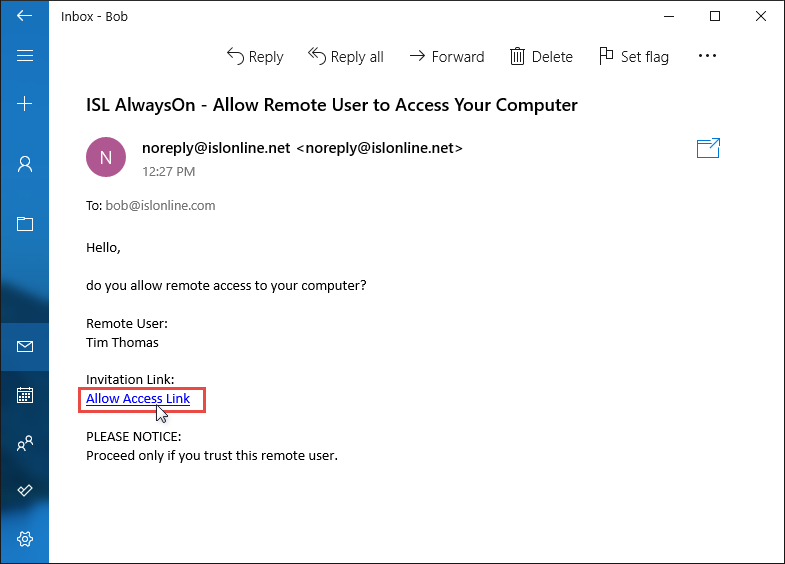 Click "Allow Access Link" from your email inbox. 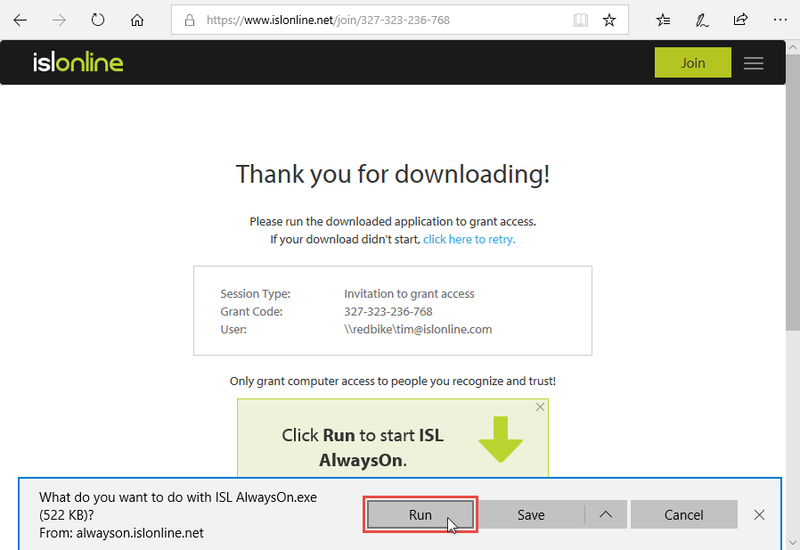 Click "Run" button to run ISL AlwaysOn which was downloaded automatically. 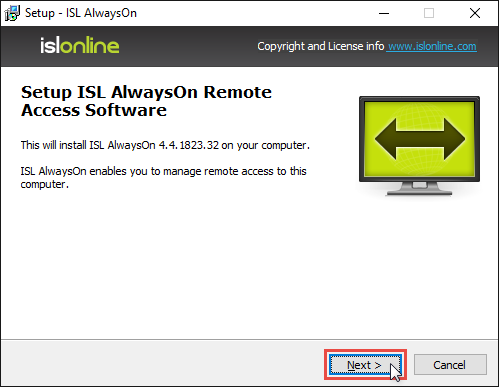 Note: If ISL AlwaysOn is already installed on the Remote Side then proceed to Step 8 directly. 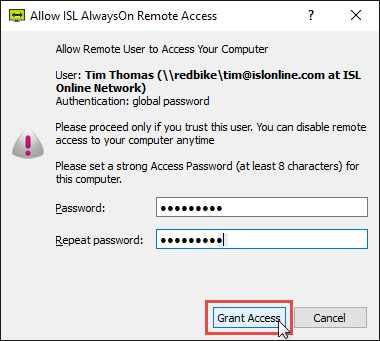 Review the information and click "Grant Access" button. 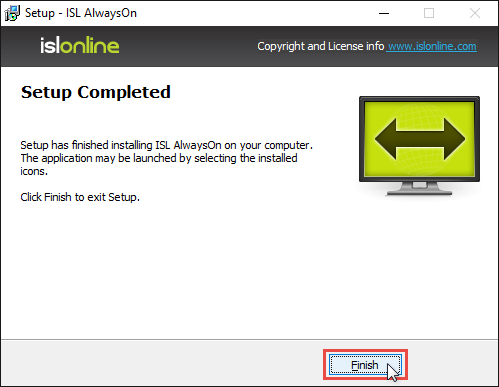 Note: If this is the first time the ISL AlwaysOn is being installed on this computer then you will be asked to come up with the Access Password for the computer as well. Access password has to be entered whenever you want to establish a connection to the unattended computer. Computer has been added to the selected group and is available for connection. Note: Consider renaming the new computer so its easier to find it next time e.g. Jim's Computer.